The information contained in our websites is published by Natixis Investment Managers’ affiliated entities, all of whom are owned or controlled by Natixis Investment Managers, a privately held French bank holding company of a diverse line-up of specialized investment management and distribution entities worldwide. Natixis Investment Managers is not regulated by the Autorité des Marchés Financiers (a French independent public authority tasked with investor protection). However, certain of its affiliates are regulated by the Autorité des Marchés Financiers or other market regulatory authorities in their jurisdiction of domicile because of their own business activities (hereinafter,the French bank holding company as well as its affiliated investment managers and distribution entities worldwide are collectively referred to as "Natixis Investment Managers" or "we" or "us", unless otherwise specified). Our websites may include combined information provided by multiple Natixis Investment Managers entities, but each entity is solely responsible for the information it provides to the websites and for the information contained in the areas of the website(s) that are specific to each Natixis Investment Managers entity, as further detailed below. Our websites (each individually referred to as a "Site") are made available free of charge. References to the "Site" should be understood as referencing the relevant "Country Site" or "Other Site", as applicable. The obligations of each Natixis Investment Managers entity are determined based on applicable local laws and regulations, as well as the services or products provided by the relevant Natixis Investment Managers entity. The Natixis Investment Managers entities conduct any regulated activities only in and from the jurisdiction(s) in which they are licensed or authorized. Their services and the products they manage are not available to all investors in all jurisdictions. Please refer to the relevant Site below for more information. Our global Privacy Statement, which describes how we process any personal data we collect from you, or that you provide to us, as a result of visiting the Site. Our Sites are not directed to any person in any jurisdiction where, by reason of that person's nationality, residence or otherwise, the publication or availability of the respective Site is prohibited. Persons in respect of whom such prohibitions apply must not access the Site. The respective Site and the content therein is for informational purposes only and should not be construed as solicitation, advice, offer or a recommendation for any fund, security, or service in any jurisdiction where such offer, solicitation or recommendation would be unlawful or unauthorized. It is not possible to subscribe for a fund or sub-fund directly through one of our Sites. The legal documentation of the relevant fund or sub-fund must be consulted prior to any investment decision. By accessing the relevant Site you agree to comply with all applicable local rules with respect to your online conduct and use of the Site, including all laws, rules, codes, and regulations of the country in which you reside and the country from which you access the Site, including without limitation, all laws, rules, codes, regulations, decrees, acts, orders, directives, legislation, bills, and statutes pertaining to tax, contracts, intellectual property, securities, e-commerce, banking, technology, computers, fraud, and privacy. The Australia Site may include information provided by other Natixis Investment Managers entities as well; however, each entity is solely responsible for the information it provides to the Australia Site. The material within the Australia Site is for general information only and does not take into account your personal objectives, financial situation or needs. You should consider, with your professional adviser, whether the information is suitable for your circumstances. Please see the Australia Site for more information. The France Site is issued by Natixis Investment Managers International, a société anonyme with a share capital of € 51 371 060,28 formed under French law, authorized and regulated by the French Autorité des Marchés Financiers (the “AMF”) as a Management Company under No. 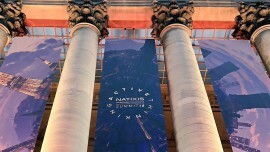 GP 90-009. . Natixis Investment Managers International is registered in the Paris Trade and Companies Registry under No. 329 450 738. Natixis Investment Managers International’s registered office is located at 43, avenue Pierre Mendés, France – 75013 Paris. Natixis Investment Managers International is a subsidiary of the privately held French bank holding company Natixis Investment Managers S.A.. The France Site may include information provided by other Natixis Investment Managers entities as well; however, each entity is solely responsible for the information it provides to the France Site. All photographs on the France Site are the property of Natixis Investment Managers or their authors and are used with permission. If you only access the France Site for non-professional purposes, the liability provisions of Article 7 below do not apply to you; instead, such provisions are superseded and replaced by the following: Neither we nor any of our affiliates nor their respective officers, directors, trustees, employees and agents, will be liable to you for any loss or damage whatsoever and however it arises as a result from your own misconduct, negligence or fraudulent misrepresentation. Similarly, we shall assume no liability for any loss or damage whatsoever and however it arises as a result from any third party’s action or from a force majeure event, as defined by applicable French law and precedents. The France Site is limited to funds and sub-funds (and related information and documents) which have been authorised for sale in France by the AMF... European fund regulations have established a set of common rules in order to permit the cross border marketing of collective investment schemes complying with such regulations. This common foundation did not prohibit different methods of implementation. This is why a European collective investment scheme may be marketed in France even though the activity of such scheme would not respect rules identical to those which are required for the approval of this type of product in France. The Germany Site is issued by Natixis Investment Managers S.A. Zweigniederlassung Deutschland, the German branch office of Natixis Investment Managers S.A., a Société Anonyme formed under Luxembourg law, authorized and regulated by the Luxembourg Commission de Surveillance du Secteur Financier as a Management Company as well as an Alternative Investment Funds Manager. Natixis Investment Managers S.A. is a subsidiary of Natixis Investment Managers, a privately held French bank holding company organized in the form of a public limited company ("société anonyme") with registered no. 453 952 681 on the Paris company register. The Germany Site is directed at persons resident in Germany or at those persons who are otherwise authorized to access these pages. Persons not meeting either of these qualifications should not access the Germany Site. The Germany Site may include information provided by other Natixis Investment Managers entities. With respect to the Germany Site, we do not exclude or limit our liability for any damages arising from our gross negligence or willful wrong action. Nor do we exclude our liability for any damages to life, body, or health, or for any other liability that cannot be excluded or limited by applicable German laws and regulations. The Hong Kong Site is issued by Natixis Investment Managers Hong Kong Limited, a limited liability company authorized and regulated by the Hong Kong Securities and Futures Commission pursuant to a Type 1 license (CE no: AZR307). The Hong Kong Site is directed at persons resident in Hong Kong or at those persons who are otherwise authorized to access these pages. Persons not meeting either of these qualifications should not access the Hong Kong Site. The Hong Kong Site may include information provided by other Natixis Investment Managers entities as well; however, each entity is solely responsible for the information it provides to the Hong Kong Site. The information on the Hong Kong Site is provided for Hong Kong residents, for reference only. With respect to the Hong Kong Site, we do not exclude or limit our liability for death or personal injury arising from our negligence, or for our fraud, or for any other liability that cannot be excluded or limited by applicable laws and regulations. The Italy Site is issued by Natixis Investment Managers S.A., Succursale Italiana, the Italian branch office of Natixis Investment Managers S.A., a société anonyme formed under Luxembourg law, authorized and regulated by the Luxembourg Commission de Surveillance du Secteur Financier as a Management Company as well as an Alternative Investment Funds Manager. Natixis Investment Managers S.A. is a subsidiary of Natixis Investment Managers, a privately held French bank holding company organized in the form of a public limited company ("société anonyme") with registered no. 453 952 681 on the Paris company register. The Italy Site may include information provided by other Natixis Investment Managers entities as well; however, each entity is solely responsible for the information it provides to the Italy Site. The Italy Site is directed at persons resident in Italy or at those persons who are otherwise authorized to access these pages. Persons not meeting either of these qualifications should not access the Italy Site. With respect to the Italy Site, we do not exclude or limit our liability for death or personal injury arising from our negligence, or for our fraud or fraudulent misrepresentation, or for any other liability that cannot be excluded or limited by applicable laws and regulations. The Italy Site is limited to funds and sub-funds (and related information and documents) which have been authorised for sale in Italy by the Commissione Nazionale per la Societá e la Borsa (CONSOB). European fund regulations have established a set of common rules in order to permit the cross border marketing of collective investment schemes complying with such regulations. This common foundation did not prohibit different methods of implementation. This is why a European collective investment scheme may be marketed in Italy even though the activity of such scheme would not respect rules identical to those which are required for the approval of this type of product in Italy. The Spain Site is issued by Natixis Investment Managers, Sucursal en España (CIF: W0182578E), the Spanish branch office of Natixis Investment Managers S.A., registered at the CNMV with the no. 8, and at the Mercantile Registry of Madrid in Section 8, Page 522681, and has its registered office at: calle Serrano, 90, 6th floor. Natixis Investment Managers S.A. is a société anonyme formed under Luxembourg law, authorized authorized and regulated by the Luxembourg Commission de Surveillance du Secteur Financier as a Management Company as well as an Alternative Investment Funds Manager. Natixis Investment Managers S.A. is a subsidiary of Natixis Investment Managers, a privately held French bank holding company organized in the form of a public limited company ("société anonyme") with registered no. 453 952 681 on the Paris company register.. The Spain Site is directed at persons resident in Spain or at those persons who are otherwise authorized to access these pages. Persons not meeting either of these qualifications should not access the Spain Site. The Spain Site is limited to funds and sub-funds (and related information and documents) which have been authorised for sale in Spain by the Comisión Nacional del Mercado de Valores (CNMV). If you are a Spanish citizen accessing any other Country Site, please note you shall be doing so under your own risk and responsibility suich that any investment carried out in such terms shall be deemed unsolicited. The Switzerland Site is issued by Natixis Investment Managers Switzerland, S. à. r. l., a Swiss limited liability company (société a responsabilité limitée) authorized and regulated by the Swiss Financial Markets Supervisory Authority (FINMA) to act as a distributor of collective investment schemes pursuant to Art. 13 para. 1 CISA. In respect of the funds distributed in Switzerland, the place of performance and jurisdiction is the registered office of the representative in Switzerland. The representative and paying agent in Switzerland of the funds registered with FINMA for distribution in or from Switzerland is RBC Investor Services Bank S.A., Esch-sur-Alzette, Zurich Branch, Badenerstrasse 567, P.O. Box 1292, 8048 Zurich, Switzerland. The Switzerland Site may include information provided by other Natixis Investment Managers entities as well; however, each entity is solely responsible for the information it provides to the Switzerland Site. The UK Site is issued by Natixis Investment Managers UK Limited, a private limited company formed under the laws of England and authorised and regulated by the UK Financial Conduct Authority under registration number 190258. The UK Site may include information provided by other Natixis Investment Managers entities as well; however, each entity is solely responsible for the information it provides to the UK Site. These works are protected by, among other things, copyright laws and treaties around the world. We reserve all such rights. The UK Site is directed at persons resident in the United Kingdom or at those persons who are otherwise authorized to access these pages. Persons not meeting either of these qualifications should not access the UK Site. The Terms and Conditions of the UK Site and any information on the UK Site are governed by the laws of England and Wales. Any claim related to any dispute arising as a result of the UK Site shall be made before the courts of England and Wales. With respect to the UK Site, we do not exclude or limit our liability for death or personal injury arising from our negligence, or for our fraud or fraudulent misrepresentation, or for any other liability that cannot be excluded or limited by applicable laws and regulations. In particular, we do not exclude our duties and liabilities under financial markets regulations or rules which may apply to us (including, but not limited to, the Financial Services and Markets Act 2000 and any FCA conduct of business rules in the UK). The US Site is issued by Natixis Distribution L.P., a US limited purpose broker-dealer and a US NFA introducing broker. In the US, investment products and services are offered through Natixis Distribution L.P. and Natixis Advisors, L.P. with primary offices located at 888 Boylston Street, Boston, MA 02199. 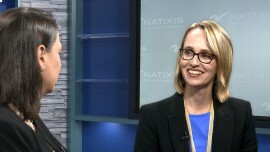 Natixis Distribution L.P. acts as a solicitation agent for some of its affiliates, serves as the US distributor of the Natixis Funds and Loomis Sayles Funds, and is the US marketing agent of The Oakmark Funds (distributed by Harris Associates Securities L.P.). Natixis Advisors, L.P. is a US investment adviser registered with the Securities and Exchange Commission under SEC#801-48408. Managed Portfolio Advisors® and Active Index Advisors® are each a division of Natixis Advisors, L.P. Each of Natixis Distribution L.P. as well as its affiliate, Natixis Advisors, L.P., is a subsidiary of Natixis Investment Managers, L.P., a US bank holding company. Natixis Investment Managers, L.P. is a subsidiary of Natixis Investment Managers, a privately held French bank holding company organized in the form of a public limited company ("société anonyme") with registered no. 453 952 681 on the Paris company register. Please refer directly to the relevant Country Site for additional information about the corresponding local Natixis Investment Managers entity, branch or office (the “Local Office(s)”) and the types of products and services that may be available locally to certain types of investors through such Local Office. In addition to Sites that contain country-specific content and information, from time to time Natixis Investment Managers may also maintain other types of Sites that are jurisdiction-neutral. The US Offshore Site is issued by Natixis Distribution L.P., a US limited purpose broker-dealer. The US Offshore Site is intended for use only by US financial advisors with non-US clients, as defined by FINRA (in its conduct rules and interpretive materials) and the Investment Advisers Act of 1940, as amended. In the US, investment products and services are offered through Natixis Distribution L.P. and Natixis Advisors, L.P. with primary offices located at 888 Boylston Street, Boston, MA 02199. Our Global Investor Site is issued by Natixis Investment Managers S.A., a société anonyme formed under Luxembourg law and regulated by the Luxembourg Commission de Surveillance du Secteur Financier. Natixis Investment Managers S.A. is a subsidiary of Natixis Investment Managers, a privately held French bank holding company organized in the form of a public limited company ("société anonyme”) with registered no. 453 952 681 on the Paris company register. Natixis Investment Managers is not regulated by the Autorité des Marchés Financiers (a French independent public authority tasked with investor protection). However, certain of its affiliates are regulated by the Autorité des Marchés Financiers or other market regulatory authorities because of their own business activity. Our Institutional Investor Site is issued by Natixis Investment Managers S.A., a société anonyme formed under Luxembourg law, authorized and regulated by the Luxembourg Commission de Surveillance du Secteur Financier as a Management Company as well as an Alternative Investment Funds Manager. Natixis Investment Managers S.A. is a subsidiary of Natixis Investment Managers, a privately held French bank holding company organized in the form of a public limited company ("société anonyme”) with registered no. 453 952 681 on the Paris company register. This Site is intended for use only by our institutional clients and prospects. While different countries may have varying legal definitions of what constitutes an “institutional investor”, here we use this term to refer to institutional asset managers such as, e.g., pension funds (public or private), insurance companies, sovereign institutions and central banks, foundations and endowments, corporations and investment consultant professionals, as well as other categories of Professional Investors (as defined under MiFID II). Because this Site contains information that is only intended for an institutional investor audience, we restrict its access at the Site level. This mean that in order to access the Site and view its contents, you must proactively confirm the fact that you are an institutional investor, or some other type of Professional Investor (as defined under MiFID II). This Site is not intended for use by the general public. Retail investors should NOT access this Site. If you choose to self-certify as an institutional investor and access this Site, you are using the Site at your own risk. Our LatAm Regional Site is issued by Natixis Investment Managers S.A., a société anonyme formed under Luxembourg law, authorized and regulated by the Luxembourg Commission de Surveillance du Secteur Financier as a Management Company as well as an Alternative Investment Funds Manager. Natixis Investment Managers S.A. is a subsidiary of Natixis Investment Managers, a privately held French bank holding company organized in the form of a public limited company ("société anonyme”) with registered no. 453 952 681 on the Paris company register. This Site is intended for use only by investment professionals as well as other institutional investors. 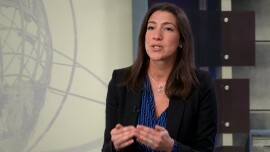 While different countries may have varying legal definitions of what constitutes an “investment professional” or an “institutional investor”, here we use this term to refer to institutional asset managers such as, e.g., pension funds (public or private), insurance companies, sovereign institutions and central banks, foundations and endowments, corporations and investment consultant professionals, as well as other categories of Professional Investors (as defined under MiFID II). Because this Site contains information that is only intended for an institutional investor audience, we restrict its access at the Site level. This mean that in order to access the Site and view its contents, you must proactively confirm the fact that you are an investment professional, or some other type of Professional Investor (as defined under MiFID II). The financial products and/or services referenced within this Site may not be available in your country. In certain jurisdictions investments into the products referenced in this Site may only be made on a limited private placement or reverse solicitation basis. The Site is provided for general informational purposes only, and the information provided on this Site is not intended for access or use by any person or entity in any jurisdiction or country where such access or use would be contrary to law or regulation or which would subject Natixis Investment Managers, its affiliates, or their products to any registration requirement within such jurisdiction or country. This Site is not intended for use by the general public. Retail investors should NOT access this Site. If you choose to self-certify as an institutional investor and access this Site, you are using the Site at your own risk. Natixis Investment Managers S.A. Oficina de Representación (Colombia) is authorized as a local representative office by the Colombian Superintendencia Financiera de Colombia to conduct marketing activities of a limited nature as permitted under Decree 2555 of 2010. Natixis IM Mexico, S. de R.L. de C.V. is not a regulated financial entity, securities intermediary, or investment manager in terms of the Mexican Securities Market Law and is not registered with the Comision Nacional Bancaria de Valores or any other Mexican authority. Natixis Investment Managers Uruguay S.A. is a registered investment adviser authorized and supervised by the Central Bank of Uruguay. The information provided on this Site is not intended for access or use by any person or entity in any jurisdiction or country where such access or use would be contrary to law or regulation or which would subject Natixis Investment Managers, its affiliates, or its products to any registration requirement within such jurisdiction or country. We may update the information on the Site from time to time as required under applicable laws. We may update or remove certain information from time to time for business reasons, for example because the subject matter is no longer relevant. All content on this Site is presented only as of the date published or indicated and may be superseded by subsequent market events or other circumstances. You are responsible for refreshing your screen or setting the cache settings on your Internet browser to ensure you are viewing the most current content. Because this Site is for information purposes only, and is provided free of charge, access to it is not permanent or guaranteed, and where access is restricted, we will ensure that any communications required under applicable laws are made to the necessary parties by other means. We may terminate your access to the site for any reason or no reason without prior notice. While we endeavor to use commercially reasonable efforts to maintain the continuity of the Site, we may withdraw or remove what we provide on the Site, or we may close it, for business reasons. From time to time, we may restrict or suspend access to some parts of our Site, or the entire Site, for example for maintenance purposes. This Site is generally intended to be viewed by a conventional web browser, such as Internet Explorer or Google Chrome. Although you may use other means to access this Site, be aware that this Site may not appear accurately through other access methods, and you use them only at your own risk. Certain parts of this Site may be protected by passwords or require a login. You are responsible for maintaining the confidentiality of any user names, passwords, security questions and answers. You understand that you are solely responsible for all electronically transmitted requests and you agree that we shall not be under a duty to inquire as to the authority or propriety of any instructions given to us using your passwords or other security data and that we shall be entitled to act upon any such instructions. We will not be liable for any loss, cost, expense or other liability arising out of any such instructions. It is your responsibility to notify us immediately of any: (i) unauthorized use of your passwords and other security data and (ii) discrepancy in your account. Unless otherwise specified directly within the relevant Site, or directly within the relevant document, Natixis Investment Managers S.A. is the owner of all intellectual property rights in the Site and the material published on it, including, among other things, all trademarks, trade names, copyright works, designs, and inventions, whether they are registered or not. These works are protected by, among other things, copyright laws and treaties around the world. We reserve all such rights. Please note the Site may contain references to copyrights, indexes and trademarks that may not be registered in all jurisdictions. This Site is not intended to provide you with investment, tax, insurance or legal advice. The content of the Site is for informational purposes only and nothing on this Site constitutes a solicitation, advice, or an offer or a recommendation to buy any investment, fund, security, product or other financial instrument in any jurisdiction where such offer, solicitation or recommendation would be unlawful or unauthorized. Certain tools may be made available to you via this Site to provide you with general guidance and these tools have been deemed by applicable regulators to provide general guidance only. You use these tools at your own risk and accept that it is your own decision whether any product, security or services is appropriate or suitable for you or your customer. We recommend that you obtain independent professional or specialist advice before making any decision or taking (or refraining from) any action (including, among other things, to purchase a financial product or service, enter a contract for the same, or make any decision after you have entered such a contract). Although we have made reasonable efforts to ensure that the information contained within this Site is accurate, we make no representation or warranty, expressed or implied, that the information is accurate or complete. This Site is provided "as is", "as available" and "with all faults." We do not warrant that this Site will meet your needs and make no guarantee that we will update this Site. You agree to assume the entire risk as to your use of this Site. Furthermore, we assume no responsibility for, and make no representations or warranties tied to the functions of this Site and make no guarantee that this Site will be error free, uninterrupted, that defects will be corrected or that it is free of viruses or other harmful components. Neither we nor any of our affiliates nor their respective officers, directors, trustees, employees and agents will be liable to you for any loss or damage whatsoever and however it arises as a result of your use of or reliance on any information on our Site, or for your inability to access or use the Site for any period of time. This Site may contain links or references to third party content or websites which may include, but are not limited to, social media sites. These links are provided for your information only, and do not amount to a recommendation or endorsement by us of that third party or its website. Please note that we have no control over the content of a third party website, and we have not verified the accuracy of any content on such third party website. Accordingly, we are not liable for the content or availability (or lack of availability) of such third party websites. These third parties are not affiliated with us and do not sponsor, endorse or participate in the provision of any of our services, funds or other financial products. To the extent that any index information is found on this Site, such information is derived from third parties and is provided on an "as is" basis. You assume the entire risk of use of such information. We and each of the third party entities involved in compiling, computing or creating index information, disclaim all warranties (including, without limitation, any warranties of originality, accuracy, completeness, timeliness, non-infringement, merchantability and fitness for a particular purpose) with respect to such information. We do not endorse such sites or the content on such sites and are not responsible for the condition of the sites or content that is posted on such sites, except to the extent that we specifically take ownership of such postings (e.g., where we actively participate in social media). In order to access certain features of this Site, you may be required to provide information about yourself including, but not limited to, your email address. You agree that any information that you give to Natixis Investment Managers will always be accurate, correct and up to date. We expressly reserve the right to monitor any and all of your use of this Site, as permitted under applicable laws and regulations. For further information about how and why we may process your personal data obtained as a result of visiting a Site, please read our Privacy Statement. You may also contact the Natixis Investment Managers global data protection officer (the “DPO”) by email at dpo-natixisim@natixis.com, or by phone at +33 1 78 40 90 00, for additional information about this subject matter.